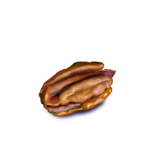 Pecan kernels are the edible portion of the drupaceous nut known as the pecan. 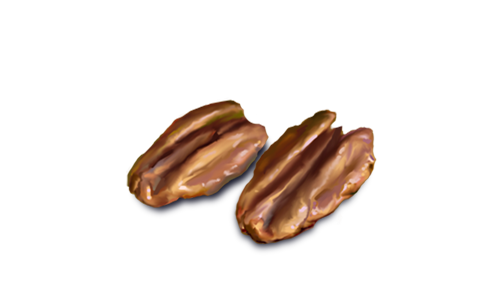 In common usage, pecans are referred to as nuts, but botanically speaking, the pertinent portion of the pecan fruit is a drupe. 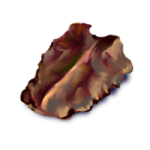 A tryma is defined as a drupe with a dehiscent husk. For pecans and hickory, tryma is even more accurate. Go ahead: ask your grocer for his tryma stores. These pecan kernels were drawn from pecans from Sherman, TX.